If you like playing games on iPhone/iPad, then the battle mode is the best way to test how well you can play a game. When you are in the single-player mode, you can almost breeze through all levels. While you compete against one or more people, it is a little more difficult to beat a level. Hence, you can test out your skills in the iOS multiplayer games on iPhone or iPad. All that glitters is not gold, and with so many options in the market, it can be tough to know which game you should choose. For this reason, we have taken time to review 11 best iOS multiplayer games for you! You can download these iPhone games from the App Store links given below. Tips: If you lost any important data like message, contact, or note, you can always use Jihosoft iPhone Data Recovery to get back your deleted data from iPhone, iPad and iPod Touch. This thrilling survival game has become a favorite of millions of players online and has garnered a cult following for it. This game is a real test of skills; you have to scavenge for weapons and supplies, come up with a strategic plan to make it out alive. Do you possess the skills it takes to beat the other 99 players and be the last one standing? You can go to the App Store today to find out, and the best part is that it is free, as it’s one of the most popular multiplayer iPhone games. Are you interested in Royal Politics? Or, are you a big fan of the Game of Thrones? Then this game is just the right fit for you! 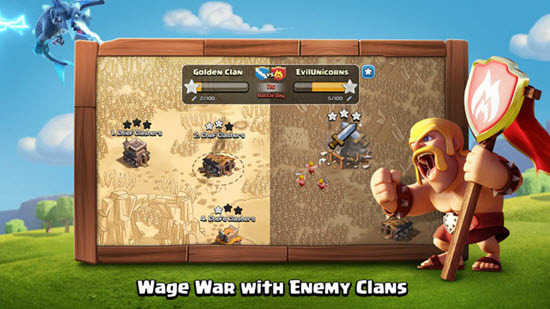 In this multiplayer iPhone game, you can build your fortress and train armies. Once the time comes, you have to defend your territory against the enemy troops until you finally emerge as the undefeated leader of the Kingdom! This application is a favorite of many players, and once you play this game you will know exactly why! In this iOS game, you can challenge or invite friends not only from Facebook but also the ones who are in your 8 Ball pool friends list, for a one-on-one game. This multiplayer game also has an option called practice area where players can hone their pool skills and prepare to beat their next opponents. Who does not love Ellen DeGeneres? Just like her talk show, this game has been a massive hit among people. It is a perfect game for a party or sleepover, and something which you can enjoy with your friends, or make teams to bring out your competitive side or play as a group for fun. This exciting charades game has a wide range of categories that you can choose from which makes the iPhone game quite engaging! If you enjoy playing Scrabble, then you are going to love this game. 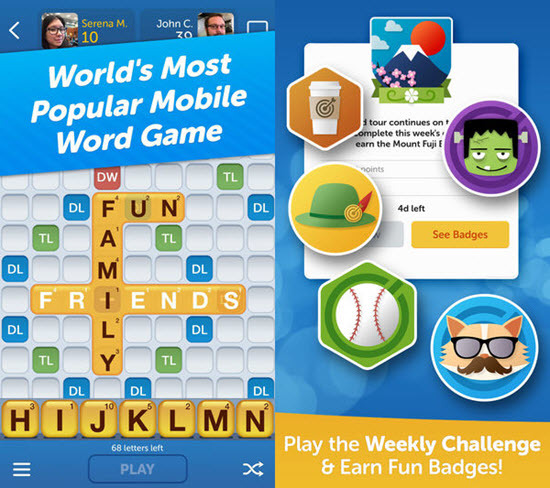 In this multiplayer game, you have to use the least possible moves to create words from the tokens available to you. Create the most attractive words to win the iPhone game! As the name suggests, you can compete against friends, and also against strangers on the internet to claim the trophy. If you have ever been into playing racing games, then you may have dabbled once or twice in the previous versions of Asphalt. Now, it is back better than ever before, offering players smoother gameplay and much more exciting features. With Asphalt you can genuinely experience high-speed racing; choose from one of the most ferocious speed vehicle options such as a Ferrari, Ducati, Bugatti, Lamborghini, McLaren and more. Get, set and go! Your time starts now to beat your opponents in this hard-core and thrilling racing game! In this iOS card game you can make use of various cards as well as collect more along the way so that you can seize control of battlefields, cast spells and call upon your minion army. Players can compete against game-controlled opponents for practice or against other players to test out their skills. Your dreams of being in a fast and furious racing montage will be realized with this exciting iOS multiplayer game. 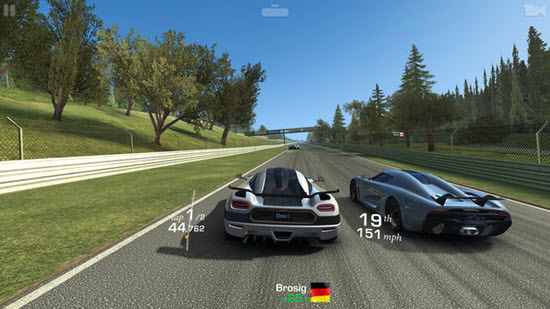 Although there are many racing games in the market, this game provides users with better graphics and more realistic experience of racing. You can find models of the latest cars, and much more with the help of this game. Once you hear the whistle, you have to race to win against six other contestants. Can you hear the engines revving? 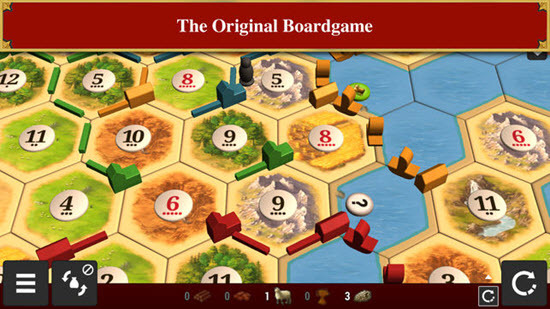 The masterminds behind the popular board game Catan have developed an app for iPhone users so that they can enjoy it on their mobiles as well! In this iOS multiplayer game, the quest to conquer new lands continues, and you must defeat other opponents before you can claim the land as your own. It is thrilling and exciting; the game requires you to come up with new and innovative strategic moves so that you can be the first one to dig you flag into unchartered grounds! 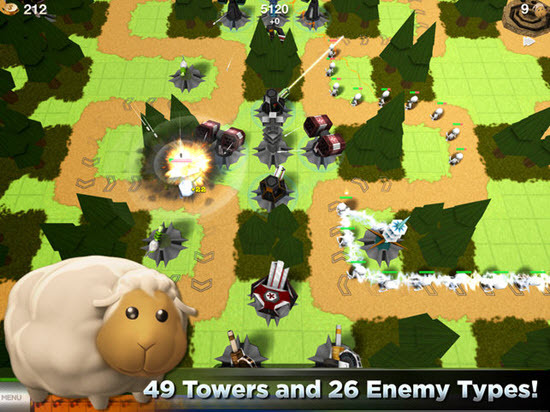 In this iPhone game, you are pitted against your neighbors in a quest to steal their sheep. But that is not all; you must defend your tower as well as your sheep from your neighbors’ grabby hands. Make sure that you are stealthy so that they cannot catch you red-handed. Love thy neighbor…but not when you are playing this game! In this iOS game, you can be the good guy… or the bad one! As a good guy, you are on a mission with your friends to protect the citizens from a terrorist attack; and as the villain, you are the one attacking the citizens. 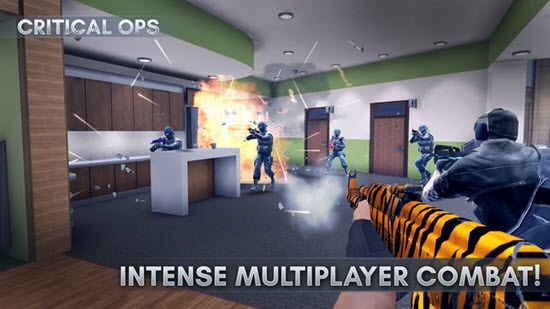 This multiplayer game tests your tactical skills as well as how fast you can assess a situation to come up with the best possible solution to get out of it. Hone your weapon skills and customize your favorite weapons so that you become unbeatable. 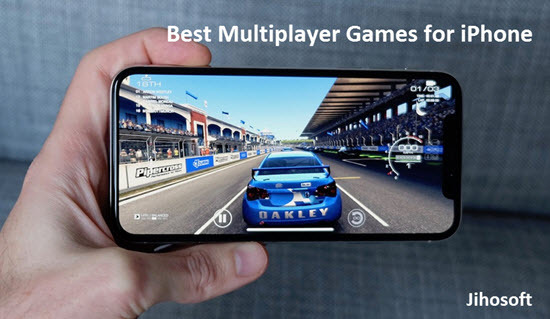 The above list of iOS multiplayer games encompasses a variety of genres, so you can pick and choose a game which suits your mood of the day to play on. When you have so many different games to choose from, your hands just start itching to go and download a few of them right away, isn’t it? Which one are you most excited about? No matter which game might be the first on your list, one thing is for sure, you are never going to bored with your iPhone again! If you have any question or suggestion, welcome to leave a message below.